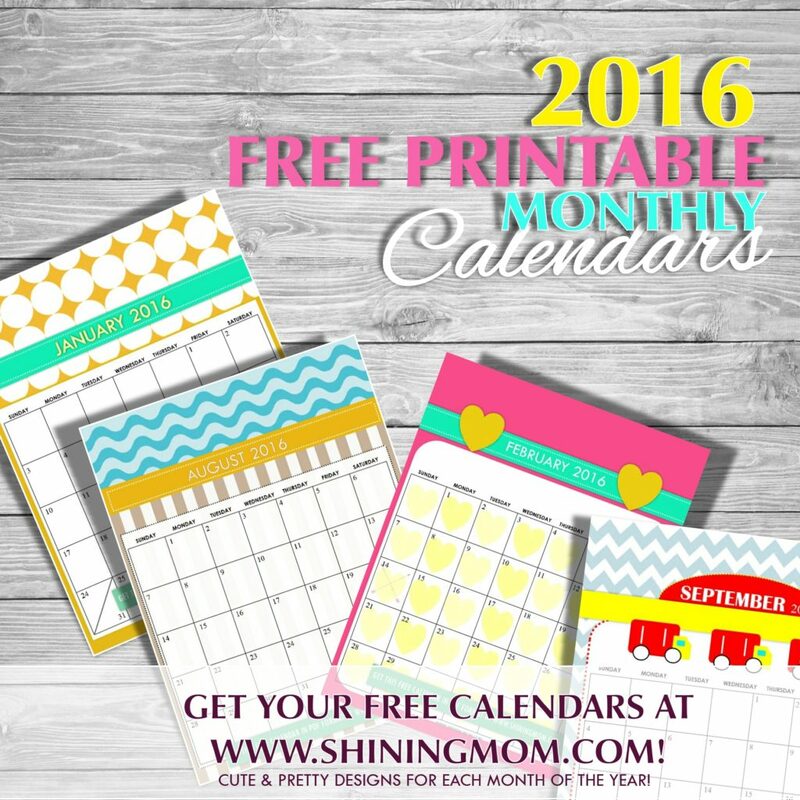 Free Printable: Cute 2016 Calendars by Shining Mom! Thank you for coming over; please allow me to treat you along the way! 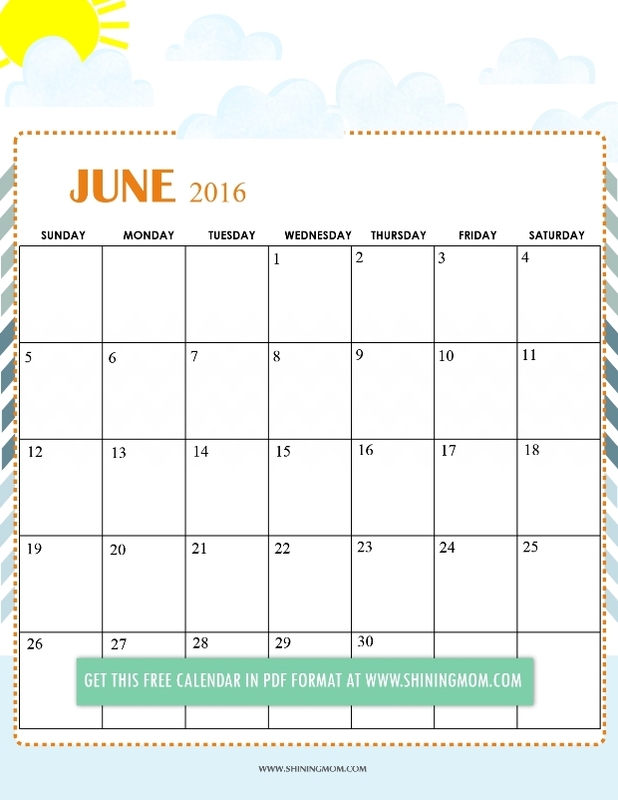 I’ve got some colorful 2016 calendars for you that are absolutely free to download and use! This I must say: My cutest calendars ever so snag your copies now and plan your year ahead! 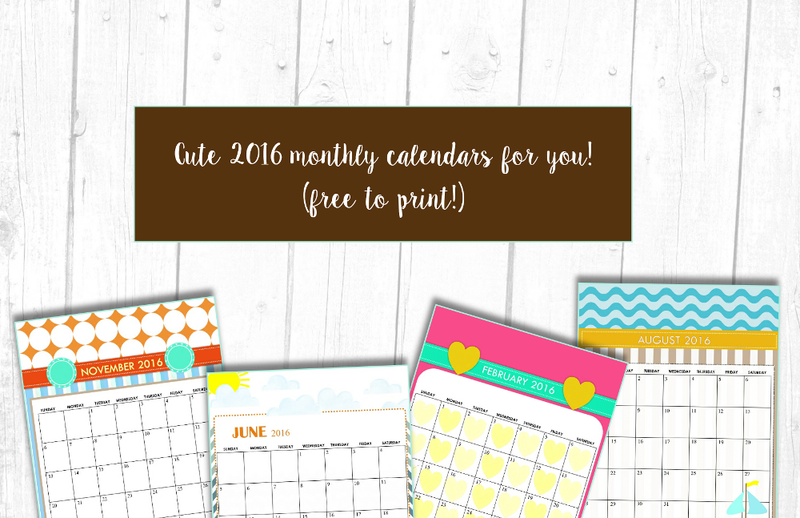 Today’s freebie: Cute 2016 calendars! 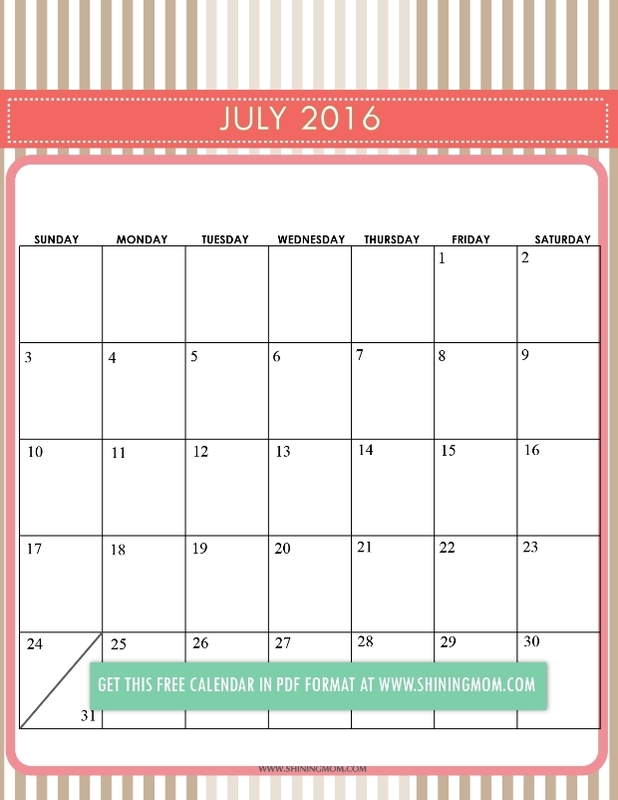 Last week, I’ve officially launched The 2016 Lovely Freebies by Shining Mom, a series of free printable goodness that I am cheerfully giving away WEEKLY which you can use to plan your year ahead. And so for this week, it is this cute set of calendars that I am sharing! This set, by far, has been the most time-consuming one to create. The patterns for the background and so with the icons I used to design the pages were quite challenging to make. But as I can see, my hardwork paid off. 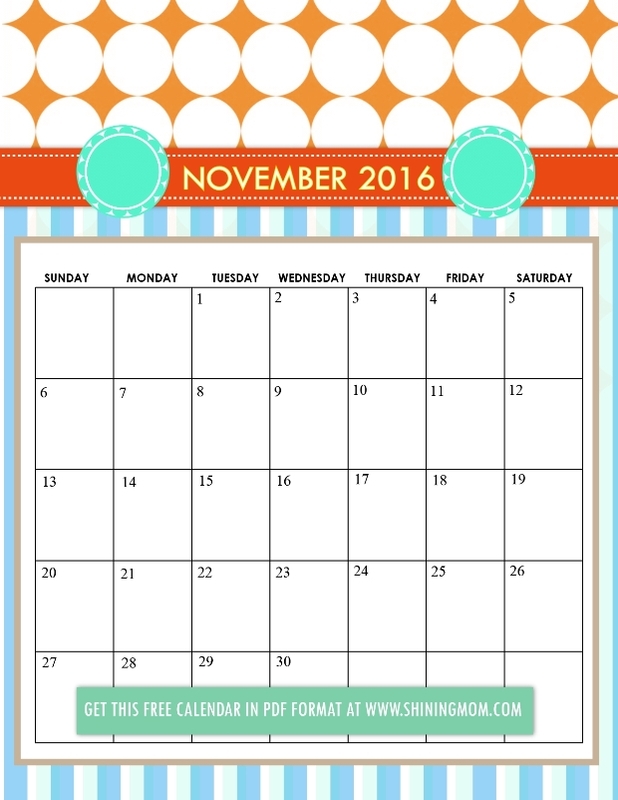 Each calendar design came out bright, cheerful and cute– exactly how I wanted them to look like! All set to view the designs and download your copies? Let’s go! The first one in the set is this January 2016 calendar in tangerine and turquoise theme in patterned background! One of my favorite designs for this set is definitely this February 2016 calendar. It’s too cute, isn’t it? 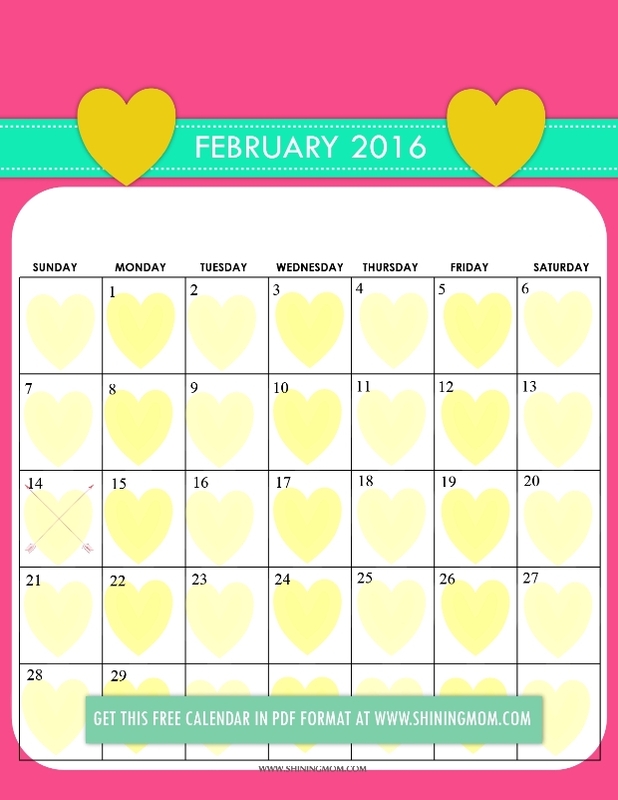 Those hearts for each day of the month is love! I’ll use this one for sure! How about you? How do you find it! Hello, little girls! This is especially for you! Snag a copy for yourself! A sweet design for the month of love! 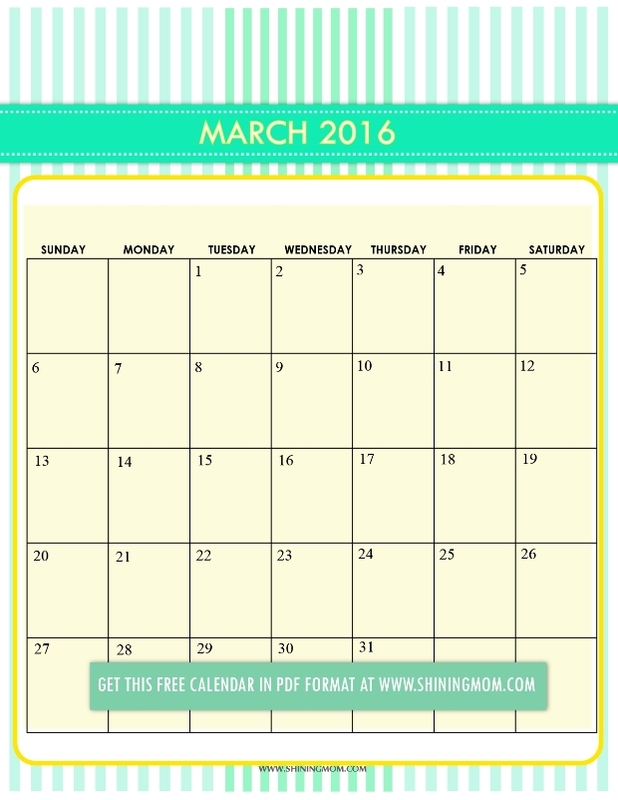 Your March 2016 calendar comes in stripey background. The design is simple but I’d like to think it’s pretty in its simplicity! 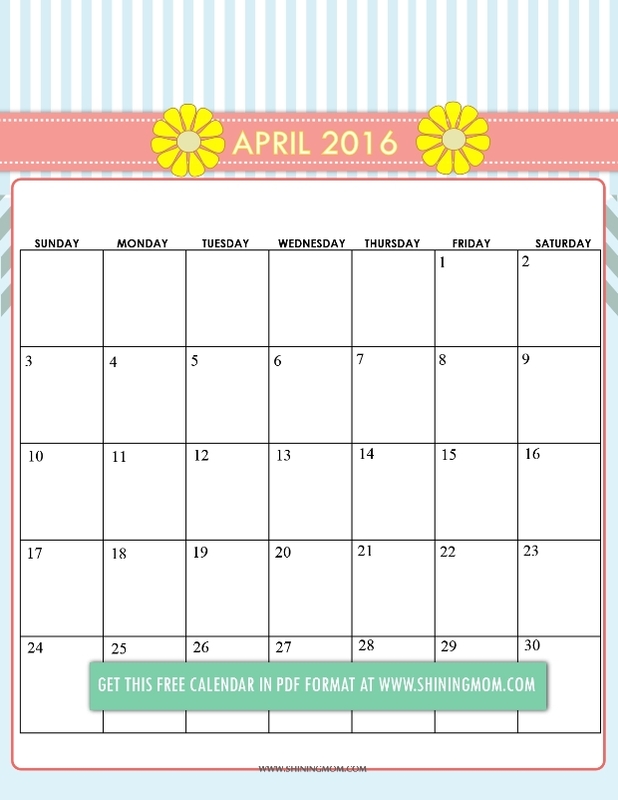 How about flowers as highlights for your April 2016 calendar? Another cute design that I hope you’ll like! 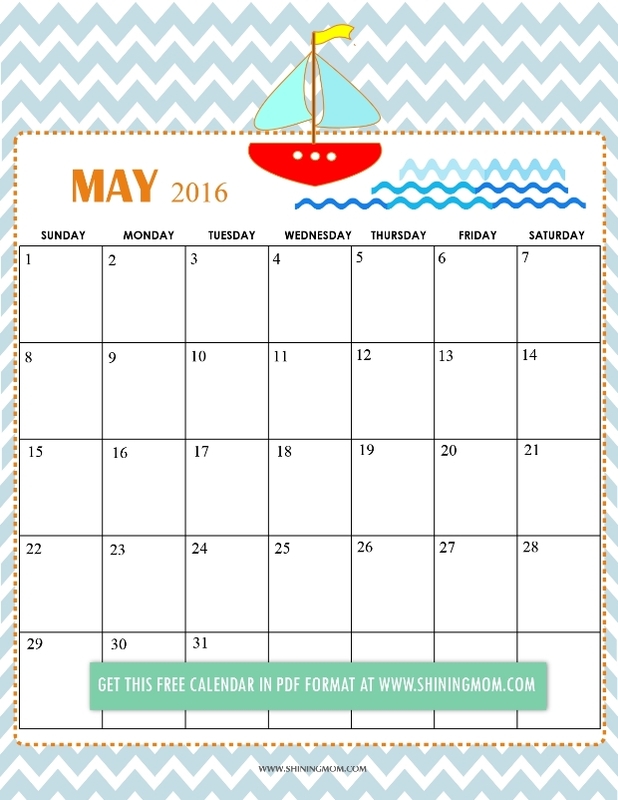 Next in the set is this nautical-themed May 2016 calendar. The chevron pattern as background is adorable, isn’t it? 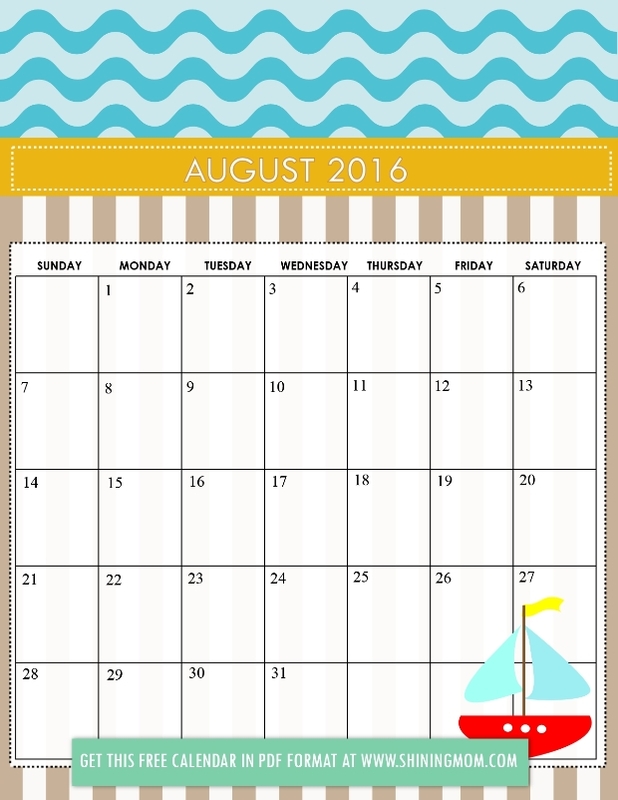 Your July 2016 calendar is sweet and dainty. The color combination is just beautiful I so think! Another favorite of mine is this August 2016 calendar. It looks fun and cool! Hello, little boys! 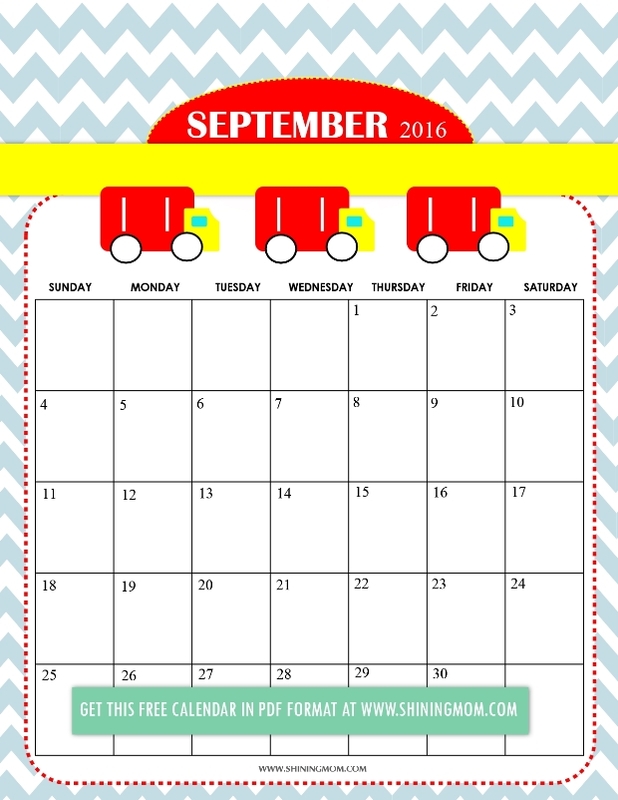 Your September 2016 calendar is here! Those three trucks are too cute! 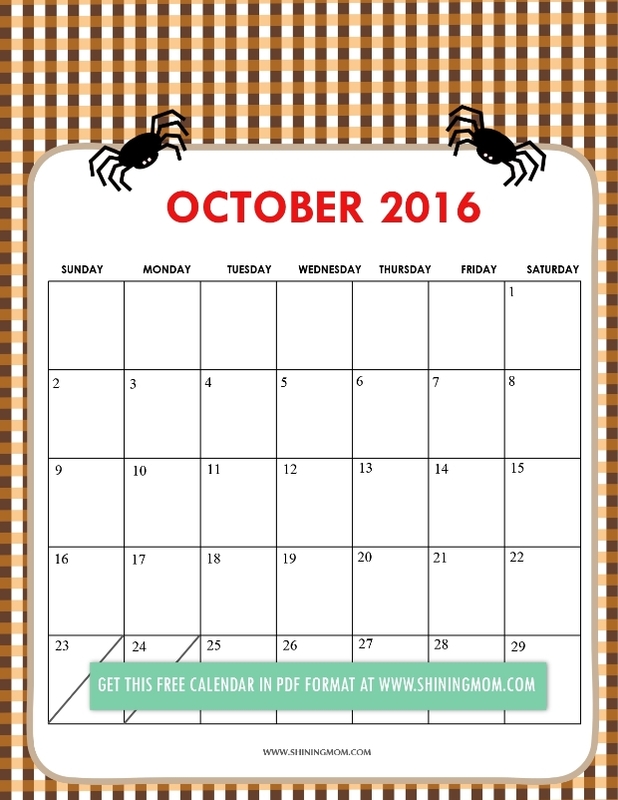 Here’s your Halloween-inspired calendar for October! This November 2016 calendar is again another favorite of mine! I love the orange ribbon plus the stripey and swirly background! 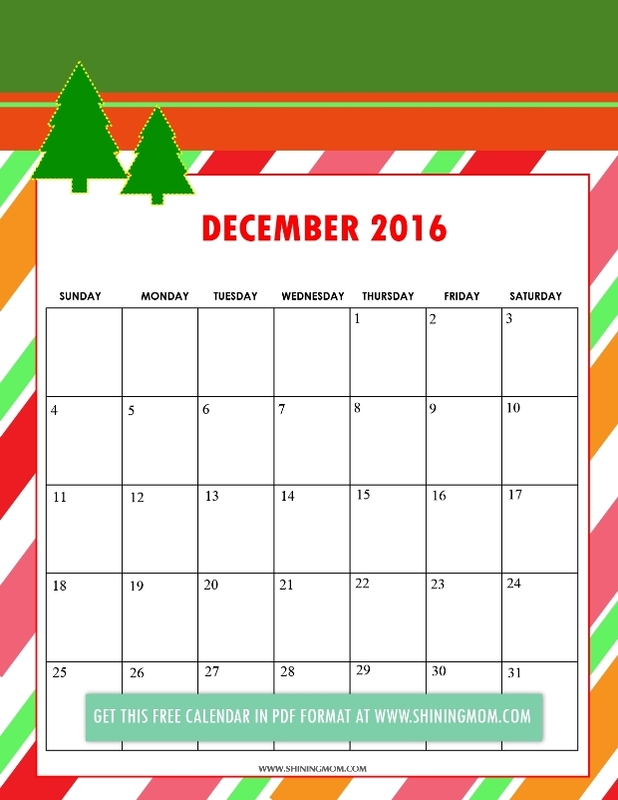 Your December 2016 calendar is of course of Christmas theme! 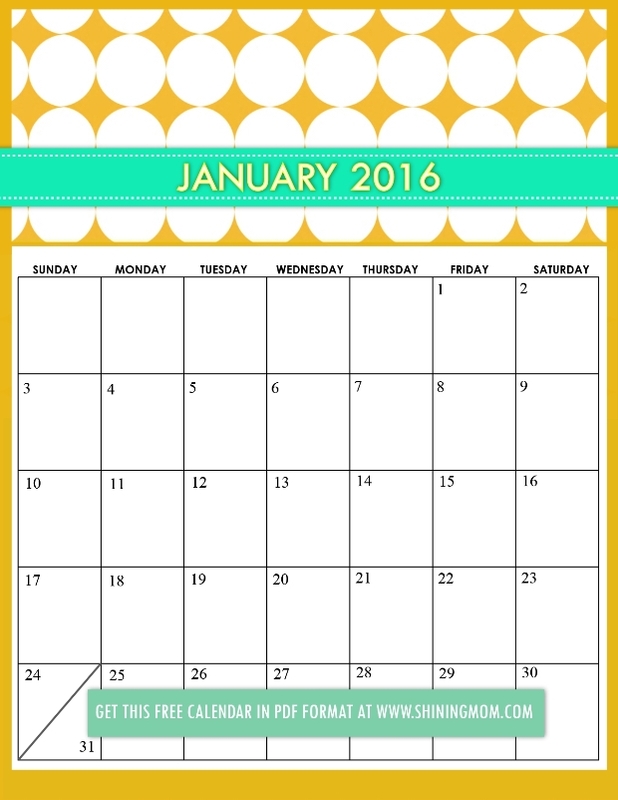 I hope you can use these free printable 2016 calendars that are absolutely cute! And, should you be in need of a planner, I have created one (it has been pinned for over 15, 000 times as of this writing!) Get your free copy here. Have a lovely week ahead! thank you so much! very useful stuffs! Omg these calendars are adorable???????????????????? Aww. thank you, too! =) Happy that you like them! Aww, thank you! Hugs from the Philippines! I am so flattered that these calendars have reached you across the miles!